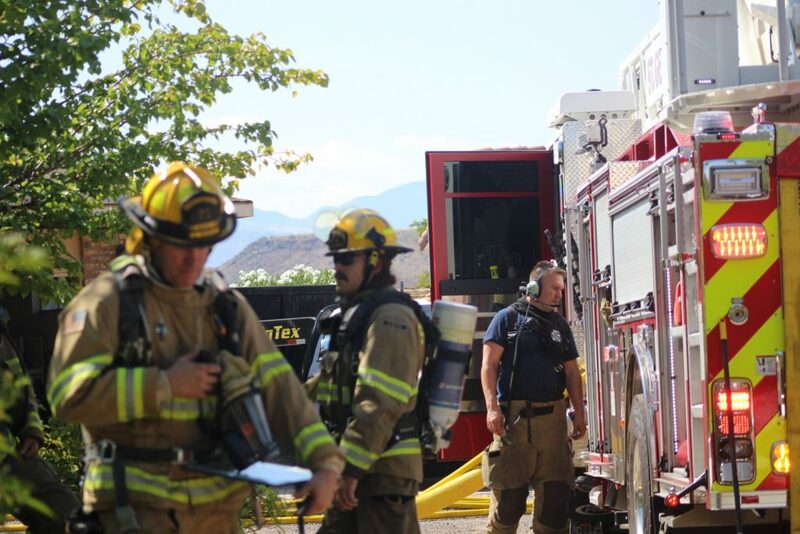 ST. GEORGE – Fire crews were called to a structure fire in Bloomington Hills Friday afternoon that, while not all that visible on the outside, kept firefighters busy. 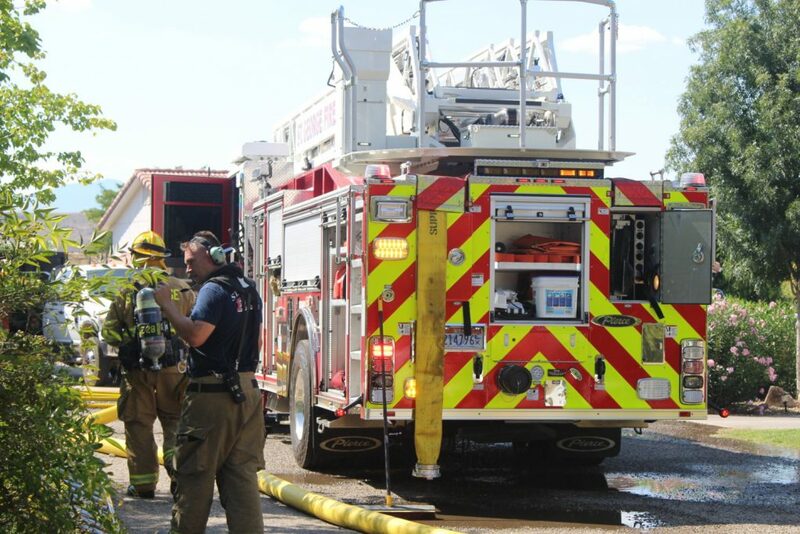 Around 3 p.m., firefighters were sent to a home on Acacia Place off Fort Pierce Drive on what ultimately turned out to be an attic fire, St. George Fire Battalion Chief Darrin Imlay said. Light smoke was seen coming from the attic, Imlay said, and it was discovered that the fire was burning down through the insulation. 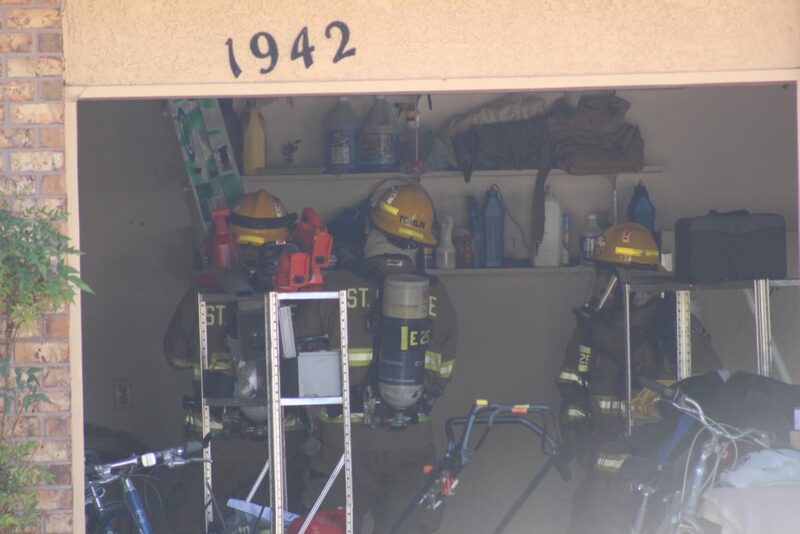 This necessitated firefighters going into the home and tearing down parts of the ceiling in order to track down the fire while also putting out hot spots. Aside from a crew of roofers who were working on the time at the time, the homeowner was away when the fire occurred, Imlay said. No one was injured in relation to the fire. 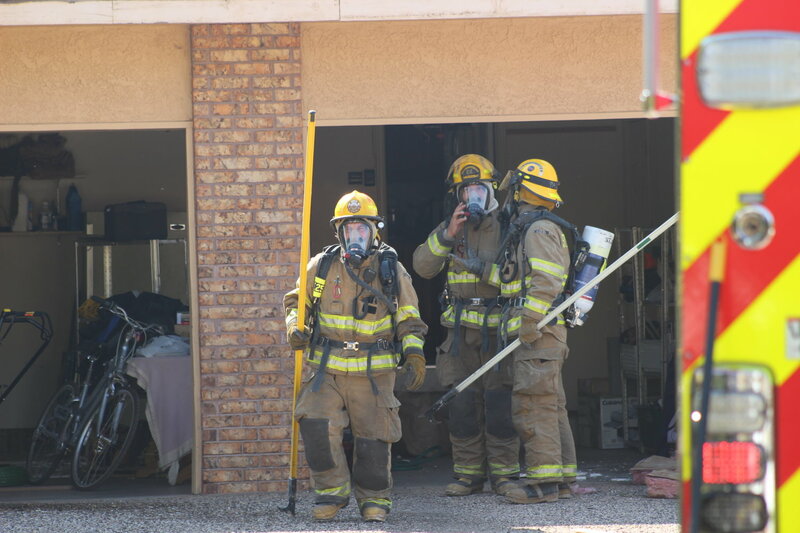 Firefighters spent over two hours at the location chasing the attic fire and making sure it was completely out. If not properly checked, small fires left in attic spaces can flare up later on and start a new fire. This is suspected to have happened to a home in Ivins in January 2015. 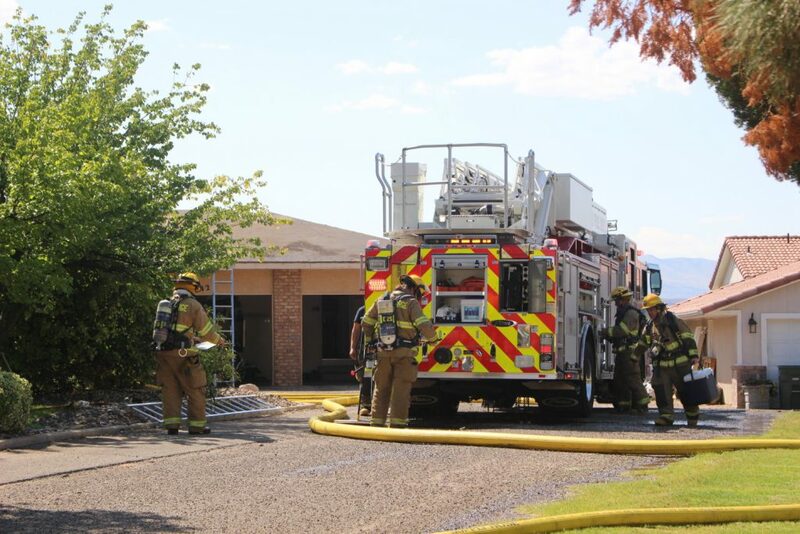 In the 2015 incident, a kitchen fire that was put out on a Friday afternoon was put out by firefighters that caused minimal damage to the home. Later that night however, a spot fire left unnoticed in the attic blazed to life and destroyed a large part of the home. 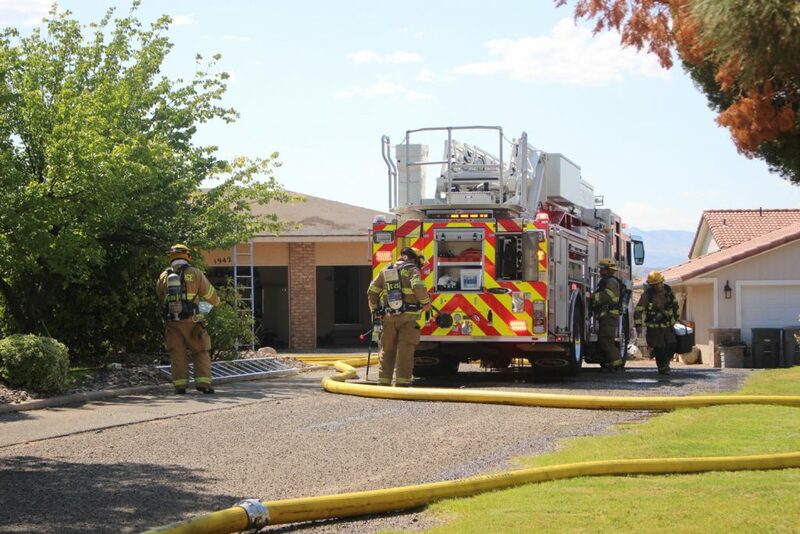 Due to the Fire Department’s not initially knowing what it was in for, Imlay said, three fire engines and one ladder truck with an overall crew of 15 firefighters responded to the scene. Gold Cross Ambulance also responded. It’s better to have resources on hand you can send back rather than being shorthanded, Imlay said. The cause of the fire is currently under investigation, he said.